Depending on the customer's requirements and the task, we automate our machines and systems. 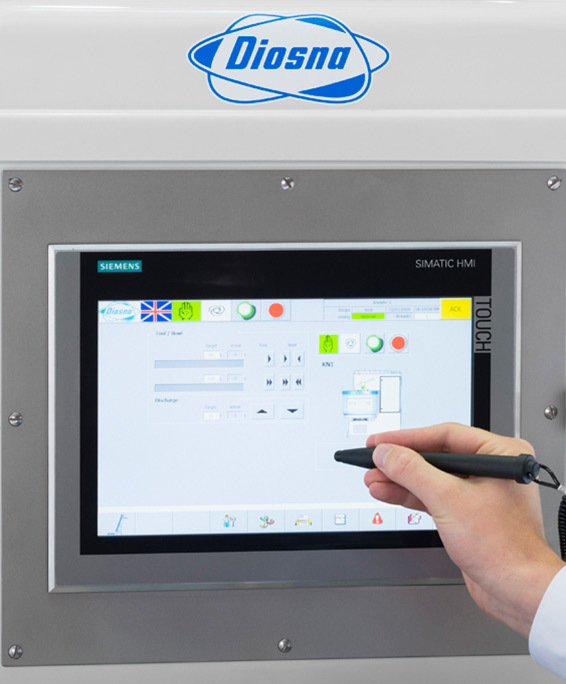 We are the specialists for the solution of the requirements of our customers, starting from the manual operation over recipe functions up to the fully automatic expansion by means of PLC control incl. connection to PPS systems. Our controls do not only operate and monitor the machine's function, they monitor the production process and assist the baker in his commitment to product quality and documentation. By connecting to the production management or taking over the production management, we help the baker in controlling and monitoring his daily work.